The spring edition of Continuum just came out. Don’t miss out on the in-depth features covering science, health, arts, humanities, athletics and the people at the U whose work is at the national forefront. An academic’s ‘field notes’ on her own dementia. Nine months after her diagnosis of early-onset dementia, Gerda Saunders PhD’96 retired from her position as the associate director of the U’s Gender Studies program. As a goodbye present, her colleagues gave her a leather-bound journal. In it, she began jotting down notes about her “daily misadventures.” With a wink at her background in the sciences, she called it Dementia Field Notes. Like an anthropologist, Saunders set out to objectively observe one member of a strange tribe, “the Dementers.” The result of this endeavor eventually led to her 2017 memoir, Memory’s Last Breath.“The more you know, the better you’re able to love,” she writes in the introduction. With that in mind, we offer you an excerpt. On Sept. 21, 2010, five days before my sixty-first birthday, I was given a diagnosis of microvascular disease. Following Alzheimer’s, microvascular disease is the second leading cause of dementia. I was — as my rather blunt neurologist put it — already “dementing.” Insofar as I had thought about dementia before that day, I was unaware that the word had a verb form: I dement, you dement, he/she/ it dements, they dement, we all dement. Now, six years later, “the cloake sitteth no lesse fit” on my chastened back. 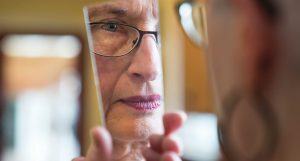 The denial with which I initially met my diagnosis will seem disingenuous in light of the fact that I knew the symptoms of dementia even then—and recognized them in myself. Also, my mother had a form of mental disconnect that made her increasingly out of touch with reality until her death at eighty-two. Given that, why did my doctor’s utterance fall so disconsonantly on my ear? It took me a long time to understand how profoundly the diagnosis threatened my sense of identity. DeMarlo Berry walked out of a Las Vegas prison last summer after spending half of his life behind bars for a crime he didn’t commit. Dressed in prison blues, he hardly recognized the city that greeted him, a place he’d last stepped foot in two decades before in 1995, when he was sentenced to life in prison for fatally shooting a man outside a Carl’s Jr. during a robbery. At the time, there was no physical evidence linking Berry to the crime: No gun, no fingerprints, and no DNA. However, there was a jailhouse snitch who falsely claimed that Berry had confessed to the crime while they shared a jail holding cell. Four eyewitnesses also provided inconsistent and only general descriptions of the perpetrator—but those descriptions were enough to convince a jury that Berry was guilty. And for years, there seemed to be no hope for Berry, who maintained his innocence. 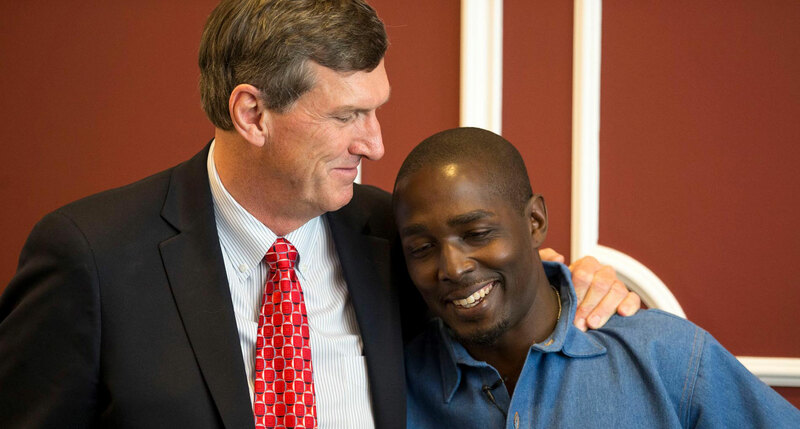 But in 2011, a group of University of Utah alumni and students, working with the Rocky Mountain Innocence Center (RMIC), took on Berry’s case and set out to bring new evidence to light that a jury had sent the wrong man to prison. The RMIC is a nonprofit organization that partners with the U’s S.J. 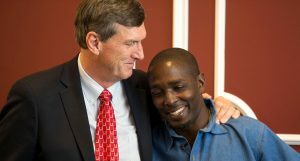 Quinney College of Law to match students with cases that could potentially prove the innocence of the wrongfully convicted. Students receive not only academic credit but also valuable and unparalleled hands-on legal experience. Once they have completed an investigation and a case is ready for litigation, the center recruits local attorneys to help bring the case to court. 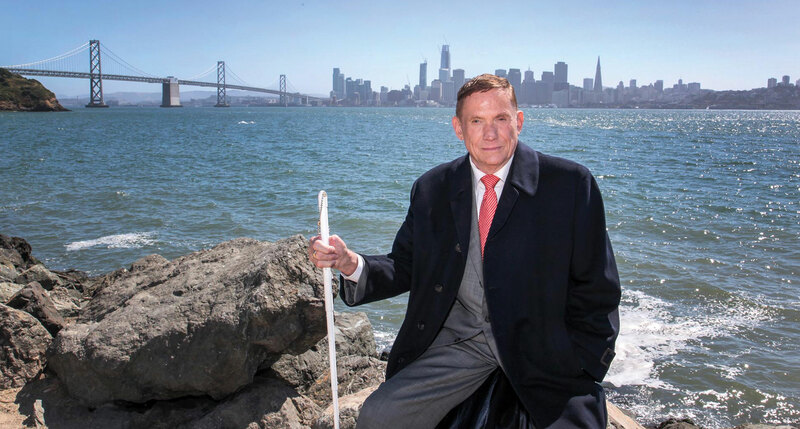 An alum’s extraordinary life shows how we can rewrite the stories that limit us. “I’m here to pick up an order of potassium nitrate,” the boy announced. Earlier that morning he had dressed in a gray shirt and gray pants that maybe looked like a uniform, then had driven his motorcycle to a chemical company in downtown Salt Lake City, where he handed them what he hoped looked like an official piece of paper. He was bored by school, but he had been captivated by President John F. Kennedy’s speech about putting a man on the moon, and he daydreamed of being an astronaut himself. (It would be an excellent way to meet girls, was his line of reasoning.) First, though, he would build a rocket. And so on a sunny morning, in his parents’ garage, he packed the potassium nitrate, some sulfur, and charcoal into a 16-inch length of metal pipe. This was in 1962, so the boom that happened next caused neighbors even blocks away to glance nervously up at the sky for Soviet bombers. But his next-door neighbor, who was taking laundry off the line in her backyard, ran toward the sound, hauling sheets and towels with her. Something had ignited the chemicals prematurely, and inside the garage the young rocket builder was bleeding profusely. The neighbor, who happened to be an army surgical nurse, used her clean laundry to make tourniquets to keep him from bleeding to death. The explosion blew off four fingers of one hand and the thumb and one finger of the other; it destroyed the sight in one eye and partial sight in the other. Over the next nine months there were nearly 30 surgeries. And, in the end, when the doctors had done all they could, 17-year-old Russell Redenbaugh was completely blind. His mother wept for his future. There are actually five big research projects—backed by more than $24 million in grant funding—presently under way at the University of Utah’s year-old, interdisciplinary Center on Mindfulness and Integrative Health Intervention Development (C-MIIND). Most of the center’s current studies focus on finding ways to safely address two issues that impact millions of Americans: chronic pain and the opioid medications often used to manage it. Eric Garland, director of the center and associate dean for research at the College of Social Work, notes one promising solution: Mindfulness-Oriented Recovery Enhancement (MORE), a research-based therapeutic intervention that Garland developed more than a decade ago, and a key centerpiece of C-MIIND’s research efforts. At the heart of MORE is the use of mindfulness training to change the way the brain processes pain, stress, and the need for medication. Garland explains that study participants learn to use mindfulness and related practices to cope with life’s challenges and increase their sense of well-being. “An awful lot of people from all walks of life have to cope with serious pain every minute of every day. We have to have better ways to manage that pain,” he says.“ The research happening at C-MIIND has the potential to do that and literally save lives.” He invites anyone who is suffering from chronic pain, currently taking prescription pain medication, and interested in participating in a C-MIND study to find out more. 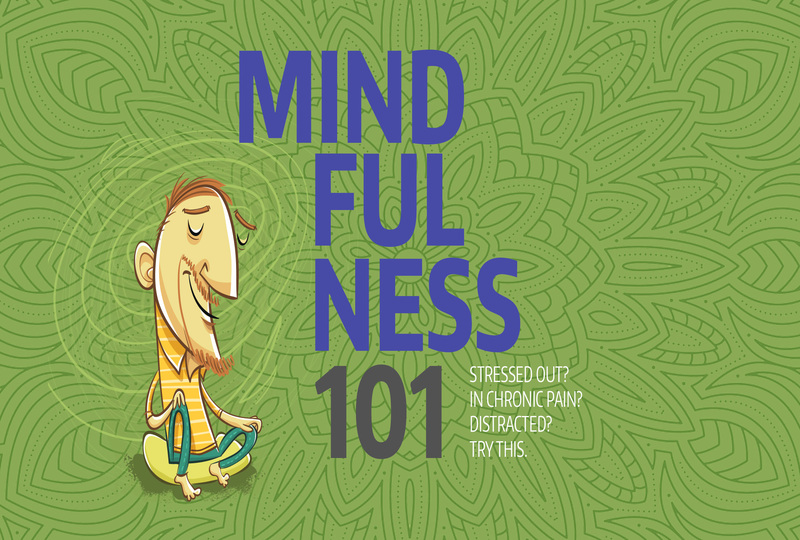 But mindfulness isn’t just for those in chronic pain; it’s a practice that can benefit just about anyone willing to give it a try. To find out more, we consulted another campus expert, Trinh Mai, associate professor and director of MSW field education at the College of Social Work. 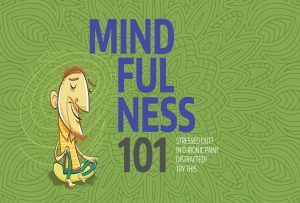 She teaches a Mindfulness-Based Stress Reduction course and was willing to share some guidance for readers who might be interested in starting their own mindful meditative practice.